Introducing the latest breakthrough in Biozet Attack’s Laundry line-up; The unique technology in Biozet Attack PLUS Eliminator kills 99.9% of odour-causing bacteria (Moraxella) which is responsible for damp, musty and sweaty odours in laundry. 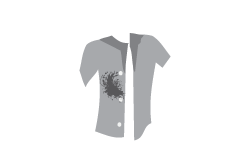 As well as removing unpleasant odours, the 3D Clean Action technology and PC Stain lifter in Biozet Attack PLUS Eliminator attacks even the toughest stains, providing stain removal, visibly brighter clothes and an exceptional clean. Just 1 shot of this advanced formula provides 3D cleaning power even in cold water. Suitable for front or top loader machines. 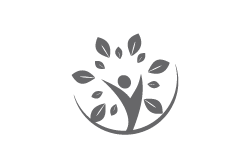 The patented Biozet Attack AirBurst Technology contains microcapsules. 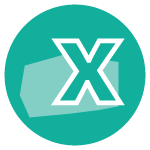 Each microcapsule holds a bubble of air embedded in its core. When these microcapsules hit the water, the air inside is released and they burst. This dissolves the powder rapidly to penetrate deeper into stains giving you a complete clean first time, every time. 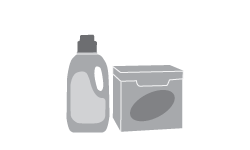 Our PLUS Softener technology is innovatively formulated to keep your clothes clean and soft in one easy step. 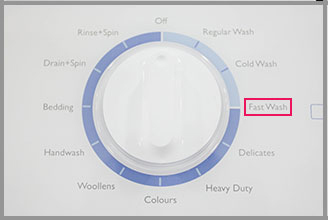 The added fiber Smoothing Essence included helps reduce wrinkles on clothes after drying. Biozet Attack Rapid contains a fast acting Double Enzyme Bio-formula and provides incredible results on Quick Wash cycle every time. Only a small 19mL dose is needed per wash to achieve these fantastic results. 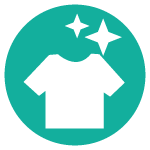 Biozet Attack Rapid is the only laundry liquid specifically formulated for the Quick Wash Cycle to give a faster and superior result than your regular cycle, thanks to the fast acting Double Enzyme Bio-formula. 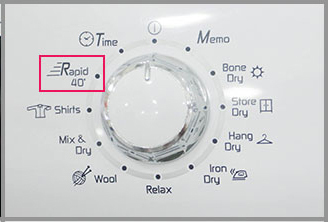 Source: †Kao Corporation Global R&D September 2013, comparing difference between regular and quick wash cycles. Tested on Fisher & Paykel Top Loader WL70T60DW1 & LG Front Loader WD12021D6. 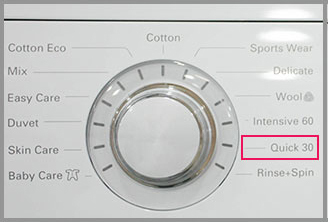 Some washing machines are not equipped with quick cycle setting. 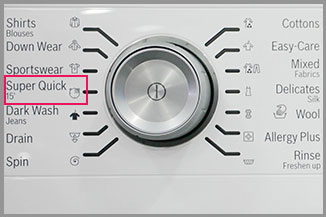 * "Quick Wash" cycle may not save water in all waching machine models. Make Quick Wash your every day wash cycle with Biozet Attack Rapid, to make washing more efficient. 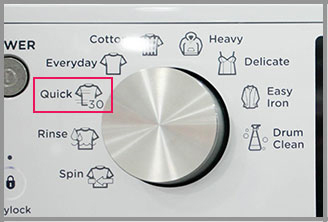 Quick Wash cycle is available on most machines. 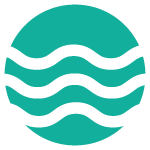 However, different manufacturers use different names. See some examples of these below. 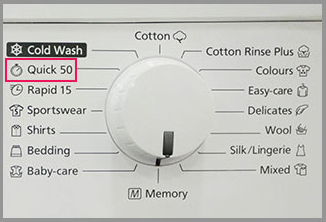 Washing time can vary from 15 to 50 minutes depending on the machine. 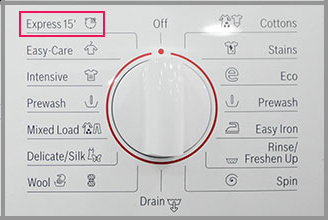 Can't find an example specific to your washing machine here? 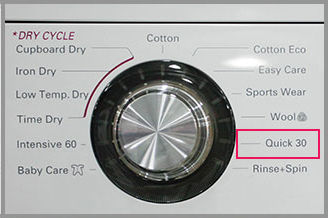 Ask your washing machine manufacturer for how to set a Quick Wash cycle.